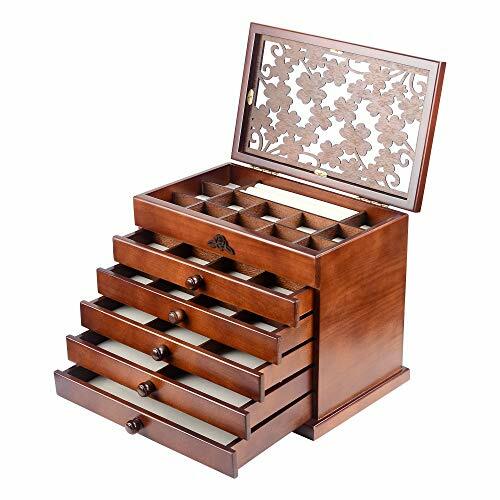 This jewelry box is crafted with heirloom-quality hand-polished natural real hardwoods with clear finish. Sumptuous tarnish resistant felt fabric. Measures 11.97″ (L) × 7.36″ (W) × 9.84″ (H) when closed. This entry was posted on November 7, 2018, in Uncategorized. No other manufacturer offers our LIFETIME WARRANTY! The Swiv-All is an all-purpose garden swivel / turntable / Lazy Susan / rotating stand for just about anything that can balance on the 12.6 inch diameter surface. Ideal for turning large plants to allow equal sun coverage and balanced growth, but it’s handy for just about anything that requires rotating or swiveling 360 degrees or simply rotating from side to side. Need to rotate statuary or other decor to face different directions for different events or photos? Do you work on art outdoors and want to swivel your sculpture or vase for best light or easier access? The LapWorks Garden Swivel is ideal. This swivel is based on our proven sturdy and smooth swivels that were originally available only in black. 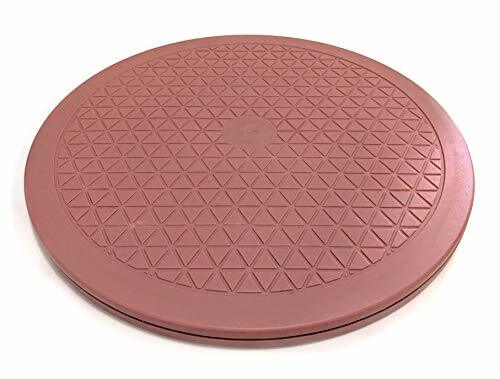 This new swivel has a red-tinted clay color we call Tuscan Terra Cotta. Black swivels are available in 10″, 12.6″, 15.9″ round and 21.7×16″. Of course, this heavy duty swivel with the pleasing color can also be used indoors. Great in the kitchen for house plants and food display or serving. Use it for art and craft room, living room or bedroom. Can be used under appliances so long as the bottom doesn’t get overly hot. For photography purposes, the swivel is great for taking 360 degrees images of anything you can set on them. Measuring 12.6 inches diameter and less than 1 inch thick with strong steel bearings for smooth turning and long life, the bottom has rubber bumpers for super gripping. Suitable for heavy plants, small trees, statuary, vases, arts & crafts. Full 360 degree Rotation Supports up to 150 lbs. LIFETIME WARRANTY! Non-skid, non-scratch rubber pads. Steel ball bearing quality 0.8″ Thin Profile. We have tested our ABS swivels through 10,000 operation with varying weight loads and they have never shown any wear or denting by the ball bearings regardless of the amount of weight loaded onto them. This entry was posted on November 7, 2018, in Glass. Placement: porch, living room, office, TV cabinet, study, etc., ingenuity, create a beautiful style. Note: The measurement is based on the distance between the two points highlighted by the baby. Manual measurement may produce an error within one centimeter, please forgive me! 1, Material: Made of environmentally friendly resin, compression molding, spraying treatment, compared with glass or ceramic, it is not heavy but durable, stable and firm. 2, Durability: Durable, not easy to corrode, anti-aging, no deformation, no fading, easy to clean can greatly extend its service life. 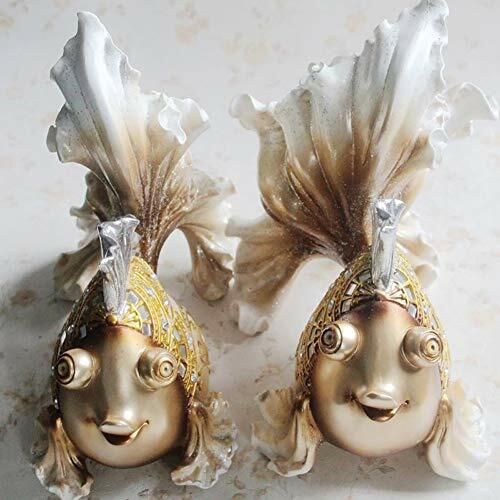 3, European style, couple goldfish resin ornaments, detailed carving, exquisite workmanship, chic design adds an artistic atmosphere to your desktop. 4, Smooth base, thick base, stable and powerful, can effectively stabilize the ornaments, the couple goldfish design is calm and beautiful. 5, Male size: 23.5×16.5x22cm, Male weight: 1.1kg, Mother fish size: 22.5x13x23.5cm, Mother fish weight: 0.85kg, for occasions: desk decoration, TV cabinet, living room, restaurant , etc. 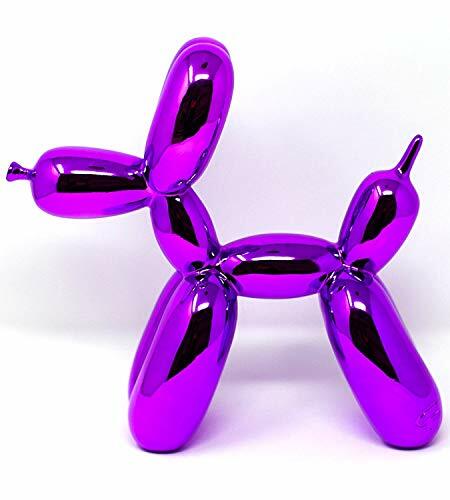 This entry was posted on November 7, 2018, in Sculptures. A DIY activity to spend some quality time with your partner, friends or teens, and have a stunning end product at your hand – design your own unique home decor, uplift the charm of any interior space. – A fun activity for teens and adults alike that can help refine imagination, bond with friends and also develop patience, creativity or cognitive ability, exercise the child’s manipulative ability. ORDER NOW & Get this Incredible 3D Decor DIY Kit to you just in a couple of Days with Amazon Prime! GIFT FOR MEN & WOMEN: show your friends, family or colleagues as you love them by sending them such a funny gift. That is a really cool gift. It fits for birthday gift, fathers day gift, anniversary gift, graduation gift, best friend gift, novelty gift, thank you gift, housewarming gift, mothers day gift. EASY YET CHALLENGING – Assembly time: 3 hrs. Packaged with easily comprehensible instructions, Pre-cut, Folds-prepared cardboard, numbered edges for ease of assembling, glue, and hook with a sticky base, our Dog sculpture is fun to construct but still challenging enough to require patience, precision, and calmness – our DIY 3d puzzle low poly craft kit is an ideal choice for anyone above 14 years, and even 12+ when engaging with family. IMPRESSIVE DIY GEOMETRIC DECOR – Finished dimensions: 15″ x 8.3″ x 9.5″. 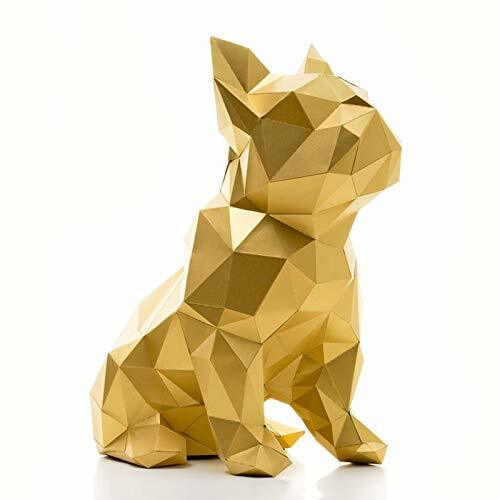 Engage in a DIY craft with friends, family or your teens, and create unique 3D Dog sculpture which can be used as a polygon 3D sculpture decoration – a surefire way to uplift the charm of your living room, teens’ room, kitchen, office or corridors. PREMIUM DESIGN – High quality craft paper is opaque & comes in Gold color, ensuring that your model kit looks a class apart. The flawless polygonal patterns reflect different shades at different viewing angles, making the papercraft Dog decoration an animate object of attention! GUARANTEE – With our 100% RISK-FREE SATISFACTION GUARANTEE on this Dog sculpture decor diy 3D jigsaw puzzle you have got nothing to lose. 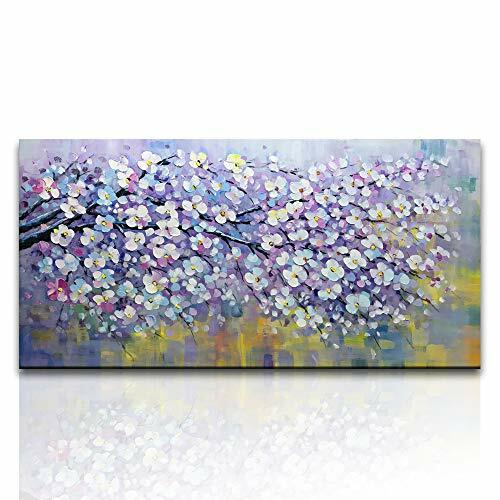 Contemporary gallery fine art by Asdam Art — Abstract impressionist Still Life Blossom Flowers in a Vase. palette knife 3D oil painting. To see closeups please click on above images. Size: 60*120cm(24*48inch)—To see closeups please click on above images. Materials: acrylic, impasto, texture, metallic, palette knife, large canvas, Mixed Media Acrylic. This entry was posted on November 7, 2018, in Art. 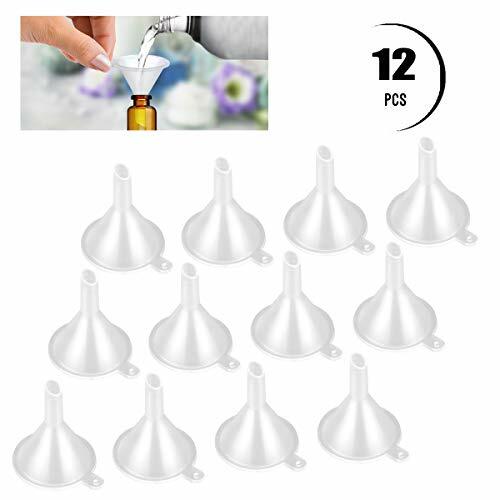 12 Pcs Mini Funnel TailaiMei Clear Plastic Funnels for Perfume Fragrance Essential Oils, Lab Bottles, Sand Art, Spices and Recreational Activities. Say goodbye to messy transfers!! You’ll find it easier than ever to add your general liquid as well as cosmetic lotion, baby care, essential oil, powder funnel, sand art funnel and so on to small storage bottles/vials. For general liquid as well as cosmetic lotion, baby care, essential oil, powder funnel, sand art funnel etc. HIGHT QUALITY – Made of durable plastic, lightweight but sturdy. MULTIPLE USES – For general liquid as well as cosmetic lotion, baby care, essential oil, powder funnel, sand art funnel etc. BEST SIZE – Opening Diameter 1.22 inch / Bottom Diameter 0.24 inch X Height 1.52 inch. SAVE YOUR MONEY – Use these mini funnels which can prevent your perfume, lotion and other liquids from spilling. GUARANTEE -100% refund of any unpleasant order or customer.